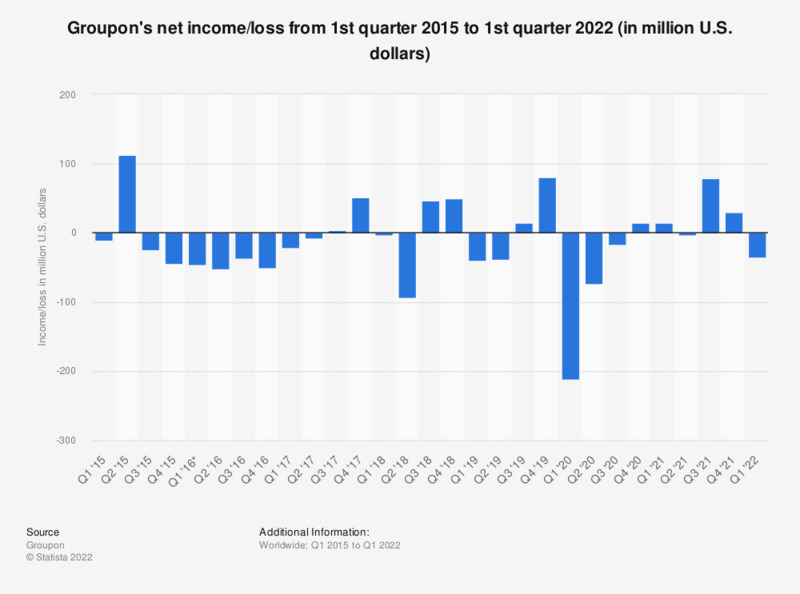 This statistic provides data on Groupon's operating results, showing the couponing site's net income/loss from the first quarter of 2015 through the fourth quarter of 2018. In the last reported quarter, Groupon reported a net income of almost 49.9 million U.S. dollars. *As of March 31, 2017, Groupon has completed the dispositions of operations in 11 countries. Accordingly, the results of operations in those 11 countries are presented as discontinued operations, appearing net of tax in a single line in the company's consolidated statements of operations. How do you typically find digital coupons, offers, or online promotion codes on your computer or tablet?